January 9, Russia, Moscow. Quake Live, Draft Triathlon! If you're going to hail me at least get my name right. we need more videos from these LANs. cooke always makes some, can be found on his channel. Well played Cooller, well played. So, there are 8 players splitted into two teams which will play each map in each mode. What's with the poor attendance? 1) the orgs made a poll to choose the 3rd mode - tdm (which I like) or freeze tag, 100 ppl voted tdm, 50 - FT, FT was chosen. 2) -20C is too cold to travel from Saint-Petersburg to Moscow, especially with gear. 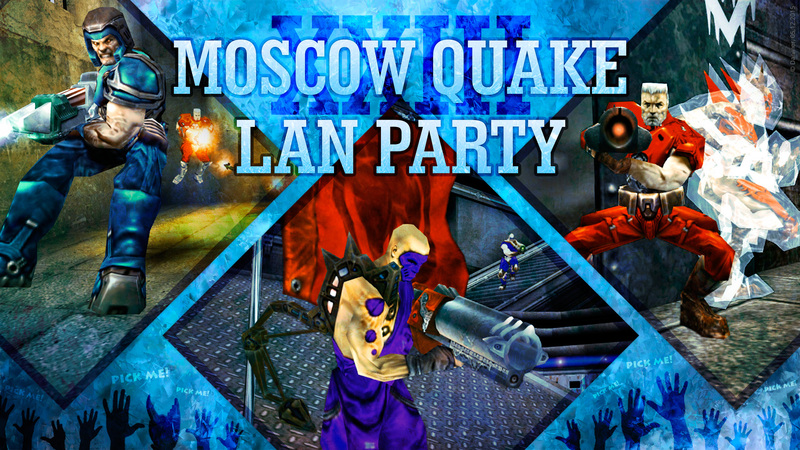 Too any russian players: is there and upcoming new cypher or cooller among est the newer gen russian quake duelers? Thanks. will check him out. Looked into him, very impressive. thanks again.